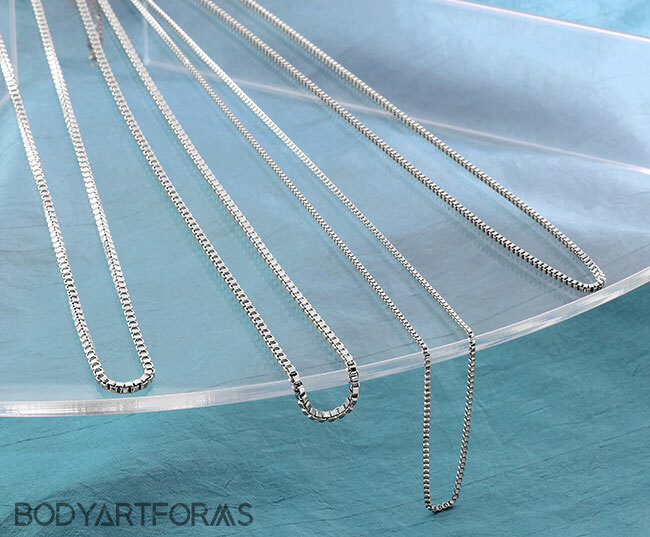 Need a replacements chain, or want to change up your necklace's look? We got you covered with these box link necklace chains! The 1.4mm and 2mm chain have a 4mm jump ring. The 2.4mm chain has a 5mm jump ring. Please make sure your pendant's bail has a large enough inner diameter to fit the jump ring.